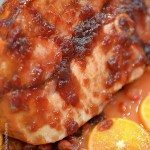 This orange salmon recipe makes a delicious, quick and easy weeknight meal perfect for family suppers or when entertaining! If someone told me that I could only have one thing to eat for the rest of my life, I’d pray that it could be fish. Especially wild-caught salmon. 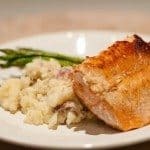 It is one of my all-time favorites and I’ve shared so many salmon recipes previously – from my parmesan herb salmon to my favorite grilled salmon recipe and just about everything in between. But, recently while in Florida, I decided to use some fresh oranges in a marinade for my salmon. Oh my word, this Orange Salmon is simply scrumptious! I just whisked together my orange juice with honey, soy sauce, olive oil, garlic, and a little ground ginger. 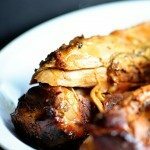 The smell of the marinade alone is reason enough to make this dish! It smells incredible! 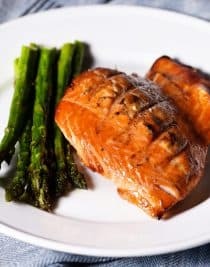 Once I had my orange marinade whipped together, I then placed my salmon in a sealable bag, poured in the marinade, sealed it up and let it marinate for up to an hour before we grilled it, let it rest and then devoured every last morsel of it! I’m now making sure that I have plenty of fresh oranges on hand for this weekly obsession! Here’s my Orange Salmon Recipe. I hope you love it as much as I do! Whisk together orange juice, honey, soy sauce, olive oil, garlic, and ginger in a 2-cup measuring cup. Place salmon in large zip top bag and pour marinade in with salmon. Close and allow to marinate 20 minutes to an hour. When ready to cook, preheat grill or grill pan over medium heat. Brush with olive oil, remove salmon from zip top bag and place onto grill pan. Cook 2 - 5 minutes (depending on thickness of salmon), then use tongs or a large spatula and turn salmon over to the other side to cook another 2 - 5 minutes (depending on the thickness). Remove from grill pan and allow to rest about 5 minutes before serving. I have to be honest and say for me, it would be BACON. 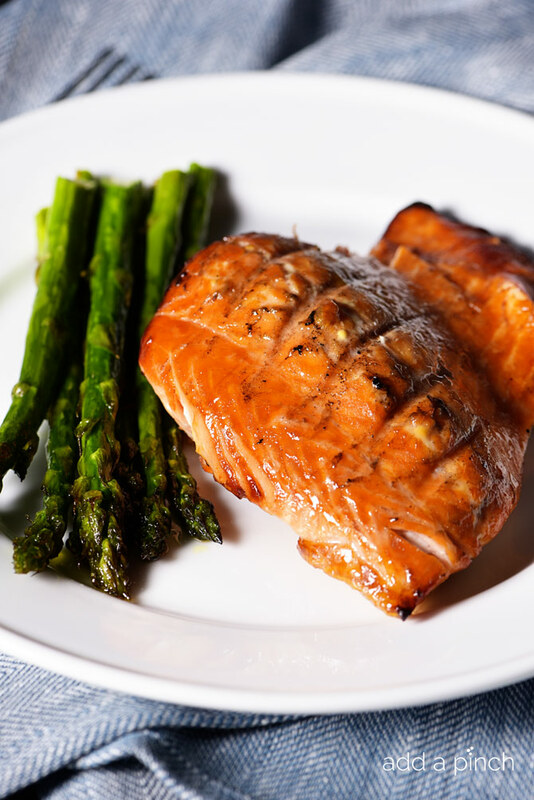 But this gorgeous salmon looks very delectable, and is going right now on my Must Make It list! Happy spring, my friend! Sounds simply amazing! Who knew salmon really doesn’t take that long to prepare? I like that you can cook just one to feed your fancy or bring it out to feed a dinner party. I know! Isn’t that the best! I hope you enjoy it! Freaking deeeeelicious ! Paired with grilled asparagus & home fries OMG ~ Bravo!!! This salmon is AMAZING! Planned ahead to make it but didn’t know what to eat with it (hubby wanted rice, I wasn’t quite a fan of that idea, not big on rice! 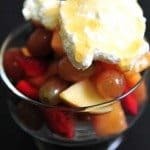 ), stumbled over the Mango Blueberry Salsa recipe on this site and coincidentally had most ingredients! 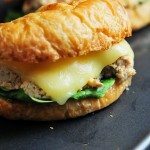 (substituted 2 ingredients with red onions and lemon juice) and it’s the BEST combination! I’ve never had such a satisfying yet surprisingly refreshing salmon dish! Had it 3 times in a week it’s so good! Thank you!! 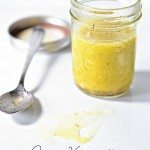 I used this marinade to improve the flavor of baked salmon, and it was delicious. I’d recommend it for any way you cook salmon, really nice flavor and texture. The recipe looked delicious so I decided to give it a shot. Mine came out pretty bland so Im retracing my steps to see where I went wrong. Hi Redd, I’m sorry it was bland – this recipe it is always so flavorful with many delicious ingredients. Hopefully you can see if possibly something mistakenly got omitted. I hope you enjoy it if you try it again. Thanks! I made this last night and it was a hit!! Love this dish – I’m so happy that you enjoyed it as well! Thanks so much! Could this recipe be steamed in foil? I don’t understand how much salmon… it reads 11 -3 pound salmon. You’ll use a salmon filet that is between 1 to 3 pounds. Such a delicious dish! So glad you enjoyed it! Thanks Vanessa! hi, can I marinade fish overnight? I made this tonight for dinner and it was so delicious! I’ve added it to my favorites. Thank you so much! So glad you enjoyed it, Shay! Thanks! Thank you Robyn for this amazing recipe. Coupled the grilled salmon with some farm fresh stir fried veggies. Was a great hit and had to do an encore. Norwegian salmon twice a week till people tire out, which I feel is not happening soon.